Gregg Borland has worked in motorsports since 1989, starting his career as a mechanic with the Skip Barber racing school. Gregg worked his way up from mechanic to instructor and held various positions with SBRS including chief instructor for the Midwest Region. In 2009, Gregg left Skip Barber to focus solely on his race team, ArmsUp Motorsports. ArmsUp Motorsports fields cars in the Mazda Road to Indy, USF2000 Series, and Pro Mazda Series as well as a whole fleet of vintage cars that compete all over the country. 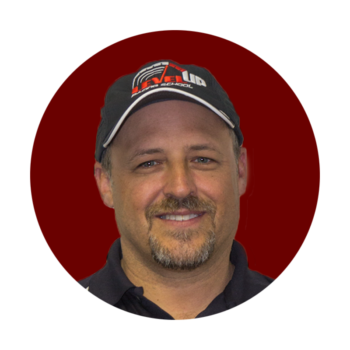 As a driver Gregg has competed in Formula Ford, Formula Continental, the Barber Dodge Pro Series, various vintage cars, and sports cars in the U.S. and Europe.